Creatine's Not For Teens, But Are Budding Bodybuilders Listening? : Shots - Health News Researchers who surveyed 244 shops across the U.S. found that, despite label warnings, two thirds would recommend the dietary supplement to a 15-year-old football player trying to gain muscle. 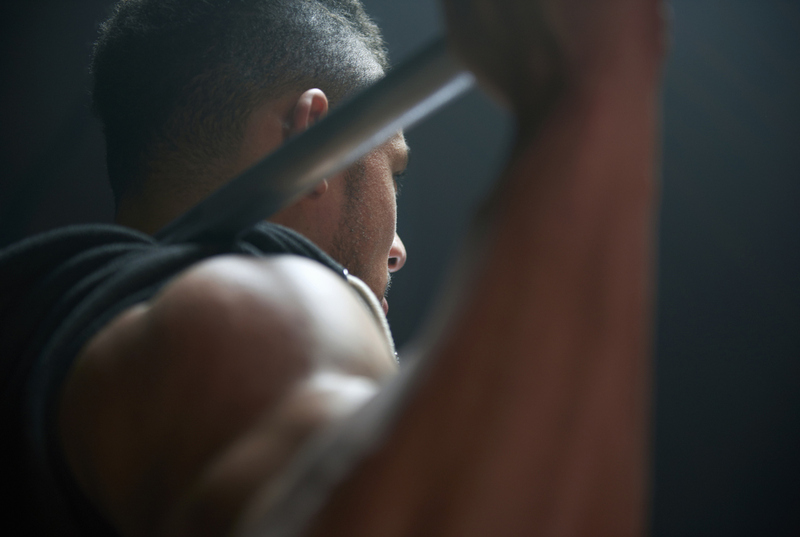 Creatine's popularity among adult athletes as a way to build muscle has prompted many young people to want to try it, too. Creatine, a chemical constituent of meat and fish that's legally been sold online, in supermarkets, health food stores and vitamin shops for at least a couple of decades, may be the most commonly used muscle-building supplement marketed. But the safety and effectiveness of creatine hasn't been rigorously analyzed by the Food and Drug Administration in the way that drugs are evaluated. And while proponents argue that the supplement's long history of use by many athletes suggests it's relatively safe for healthy adults, pediatricians warn that it's unclear whether the supplement might harm the growing muscles and bones of kids and teens. That hasn't been studied. The American Academy of Pediatrics specifically recommends against its use by adolescents, and most of the flavored powders, tablets, energy bars and drink mixes containing creatine bear warning labels that the supplement is not recommended for anyone under 18. Even so, use of the supplement among teens seems to be rising, particularly among young male athletes. Researchers at the Steven and Alexandra Cohen Children's Medical Center of New York wondered whether retailers were appropriately cautioning high schoolers and middle schoolers not to take the stuff. So they did a little survey: A 20-year-old undergraduate, a member of the research team, called 244 health food stores across the U.S., posing as a 15-year-old football player seeking to increase his muscle strength. In each phone call he asked workers at the stores for their recommendations about which, if any supplements he should take. More than two thirds of the sales associates recommended creatine to the caller — despite the label clearly warning against its use by young people. The researchers published their findings in in the February 2017 issue of the journal, Pediatrics. "The biggest concern for teens is the potential impurity of the supplement," says Dr. Michelle LaBotz, a pediatrician in private practice who specializes in sports medicine and co-authored the cautionary position paper on creatine for the American Academy of Pediatrics Council on Sports Medicine & Fitness. Because the FDA only lightly regulates dietary supplements, LaBotz explains, the purity of these creatine products cannot be assured; some have been found to be contaminated with other substances, including testosterone, which can impair a child's ability to grow and develop bone. The body is an "amazing machine which functions, for the most part, beautifully on its own," says Dr. Ruth Lynn Milanaik, who led the study. "There's no need to rush the game of muscle mass, which can be added slowly and healthfully through clean living, a good diet and exercise," Milanaik tells Shots. LaBotz says a solid, strength training program can increase a teen's strength by 30 percent or more in 12 weeks, and is far more effective than taking creatine. Milanaik says her findings should be considered a "call to arms" for parents, coaches, pediatricians and retailers, to address and discuss potential risk of supplement use, especially with adolescent athletes.